Maryland upset Syracuse. The Orange, who were 2-0 going into the game, seemed to be the favored team (especially since they were playing at home in the Carrier Dome). But the Terps showed up, and won 34-20, on the road. Yes, even Purdue won, even though they had to defeat an FCS team in order to do so, beating the Southern Illinois Salukis only 35-14. Just one more touchdown would have made the win semi-convincing. Iowa won on the road, defeating a respectable Pitt team, 24-20, in the last minutes of the game, no less. Think Purdue’s win was less-than-convincing? Check out Northwestern: they beat Western Illinois 24-7. Still, a win is a win – at least, in this case. Michigan State, without any surprise, thrashed their directional neighbor Eastern Michigan 73-14, in what amounted to be one of the biggest “body bag games” of the week. Even though Illinois had to struggle to do so, they pulled in out in the end over Texas State, 42-35. Granted, there was a rather ignominious loss concerning Michigan. To be sure, Utah is not a horrible team, but they’re not great either. Moreover, this was a home game for the Wolverines, who failed to even reach the red zone. In the Big House. Wisconsin’s blowout win over Bowling Green at home, 68-17, came as little surprise. And I must say, the Badgers’ red helmets look very nice indeed! Minnesota beat San Jose State 24-7. Let us not forget Nebraska’s win at home over Miami (Fla.), 41-31. Rutgers did beat Navy, 31-24, and the Midshipmen are never to be taken lightly. 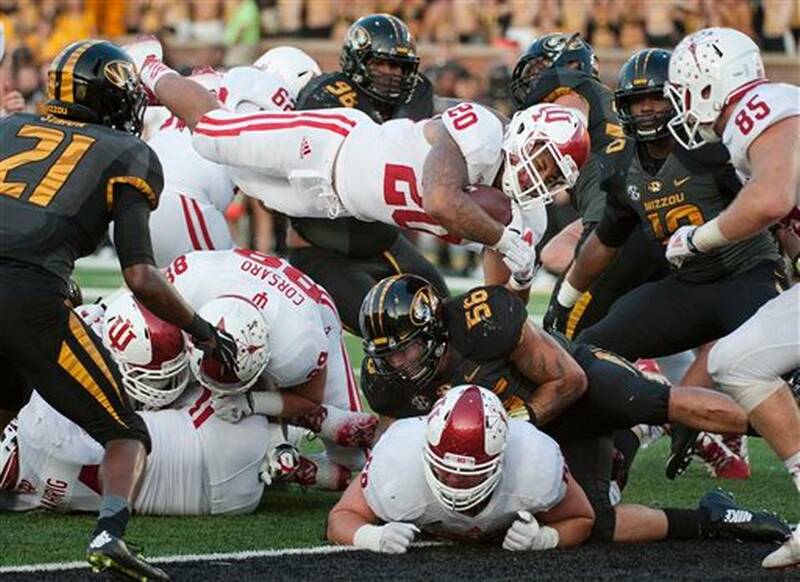 That said, Indiana (yes, that Indiana) represented the entire conference well by beating a more-than-respectable Missouri Tigers squad on the road. If these shadows remained unchanged, the Hoosiers could take the conference by storm this year (notwithstanding Michigan State or Ohio State, who both happen to inhabit the same division as IU). So, 12-1 for the conference is not bad considering the previous two weeks. Were it not been for Ohio State’s bye week, it might have been 13-1. In other news, while I hate to see LSU take it on the chin, it is very nice indeed to see Dan Mullen and Mississippi State get a nice, signature win. More is not necessary better. If one of your favorite products introduces a new product line, will that help the overall brand, or will it detract from productive capacity and quality control resources for the product and you and others already know and love? If your favorite airline adds more routes, instead of enhancing the brand, all it might do is cause more flights to be delayed. The reason I bring this up is because the news has come out that the Big Ten is inviting both Maryland and Rutgers into their prestigious conference. The invitation obviously benefits these two universities, but how does it benefit the Big Ten? More is not always “more,” as in better. It’s not as if the Big Ten is adding Notre Dame and Texas, in which there would be more great TV games and home games. The benefits for Maryland and Rutgers are obvious. 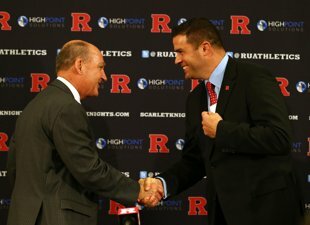 Neither teams are making much money with their athletics programs (least of all Rutgers), not with the relatively lousy television deals they currently have. By joining the Big 10, that problem instantly vanishes, since that conference has one of the best TV deals in the business. It is not rocket science to figure out why a poor guy wants to marry into a rich family. Moreover, while those two teams’ conference fit is a geographic stretch, academically it somewhat makes sense. Like almost all other conference members, Maryland and Rutgers are both members of the Association of American Universities, for what that is worth (oddly enough, Nebraska is the only B1G member not yet in that affiliation). Adding these two schools could further enhance the conference’s already solid academic reputation. But aside from that, how does the Big Ten benefit? From a fan’s perspective alone, this could border on havoc. Think of the traveling distance. Many Big Ten fans travel by the busload to some away games. A band of Nebraska fans traveling to Piscataway, N.J. to see their beloved Cornhuskers play Rutgers would literally be journeying halfway across the country. That’s a huge difference from a more typical conference matchup in which some Wisconsin fans would have but a [roughly] three-hour run to Iowa City to cheer on their Badgers against the Hawkeyes. Moreover, think of home game schedules for a moment. So few great home games are available year in and year out. Think about how many season ticket-holding fans have to put up with lousy match-ups at home. Wisconsin playing Cal Poly or Ohio State playing Youngstown State at home might be easy wins, but they are horrible games for the fans. Ditto with the Buckeyes playing the Blazers of UAB; yuck! Fans of B1G teams wait patiently from great match-ups, such as the Buckeyes coming in to Camp Randall Stadium in Madison for a night game, or Michigan State coming into Northwestern for a close, hard-fought match-up. With Rutgers and Maryland now in the mix, those great regional rivalries that fans hunger for are now further in jeopardy in place of a potentially mediocre match-up with these mediocre teams. Again, what has the Big Ten, on balance, to gain from this? The Terrapins’ affiliation with the conference will not make the program improve. It also messes with traditional rivalries. The Terps have nothing to do with the Spartans, Buckeyes or Badgers. Their rivals are Virginia, North Carolina, etc., all in the Atlantic Coast Conference. Leaving the ACC for the B1G means all those rivalries instantly vanish. Ah, but adding Rutgers and Maryland into the conference means that the Big 10 can tap into the New York City and Washington, D.C. markets, say the expansion advocates. But people in those markets don’t care about either team, so says Nate Silver, who has a great piece that voices that same concerns written on this page. Silver’s analysis shows that there are low percentages of college football fans in those two large metro areas. Why compromise teams’ schedules for such a diminishing return? The bottom line is that the Big Ten, arguably most prestigious athletic conference overall in college athletics (notwithstanding football alone, in which the SEC is, at this time, head and shoulders above everyone else), is running a serious risk of diluting their brand. If you want further proof of this real possibility of brand dilution, look no further than the Pac-12 to see how this move makes no sense. Any benefit of adding Utah and Colorado is marginal at best. The Utes have been mediocre this year, and the Buffaloes have been an outright embarrassment, as they are arguably the worst team in the FBS (see: “Dang, they’re bad,” see: “Can the season end?”). Yes, the Pac-12 has some great teams right now: six of its member teams are, as of his week, ranked in the top 25. But Utah is not among those who are ranked, and, as already mentioned, Colorado is embarrassingly abysmal. At least when the SEC expanded, it brought in Missouri and Texas A&M; two quality programs. Maryland and Rutgers just dilute the brand, and further weaken an already teetering Big East. Big Ten Commissioner Jim Delany may think that bringing these two teams in will allow for it to reach certain key “demographics,” but not only does Nate Silver show that those demos are not as inviting as they would initially appear, Dan Wetzel of Rivals/Yahoo! points out similar problems. Delany and the rest of the conference leadership need to snap out of this trance before they make a horrible mistake that will ruin the brand.